For small start ups and businesses, Twitter has become an excellent tool to reach a huge market of millions of Twitter users. Since most small businesses do not have a lot of funds for advertising and market with a small budget, Twitter is a great alternative to increase public awareness of their brand. It has been used to obtain new customers, develop branding, and increase a business’ presence in the Twitter community with precise and targeted bits of information. With all of Twitter’s benefits, it still has several limitations. One limitation of Twitter is the briefness of the tweet your company posted. Let us assume that you have thousands of followers on your company’s Twitter account and your followers in turn have thousands of more people following them, there is a huge potential for your tweets to go unnoticed daily. As an example, you create a tweet for a discount promotion offered by your business but it gets lost in hundreds of other feeds in your follower’s timeline. Another factor to consider is the introduction of auto tweets which are programs or applications that are capable of automatic follow, follow back, unfollow, gather unlimited Twitter users with the same interests, and much more. For small businesses, these auto tweet programs can be very beneficial but it also has its drawbacks. Often users are bombarded with multiple auto tweets originating from the same Twitter account that may cause the timeline of that user to be flood. This can be very irritating and frustrating for users if they constantly experience bombardments of auto tweets which in turn can cause the user to unfollow your company. Subsequently that user will not notice the offer or deal your business promotes. An additional limitation of Twitter is the sheer volume of users that you can follow. At times you add a user to follow which becomes a one-off occurrence. After viewing their profile for a specific interest, you expect to see their tweets quite soon but this may not happen due to the huge amounts of tweets that fills your timeline. One method to anticipate this problem is to categorize your followers into specific list, thus guaranteeing a maintained relationship. On the other hand, this can still become a predicament if you have thousands of followers since it may require you to create a large number of lists. There is also a possibility that a user just added you as a follower in a one-off situation. 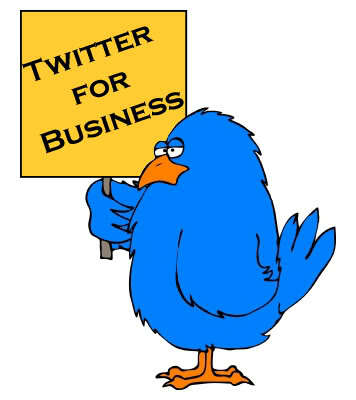 Without a doubt Twitter has become a very effective marketing tool especially for small businesses. But it is wise to consider the limitations above before you rely on Twitter for your entire business marketing campaign. It is important to have several other supplementary marketing strategies other than Twitter marketing to guarantee the success and development of your business.